Ashanti – Under Every Leaf. Captain (Later Major General) Charles John Mellis (12 September 1862 – 6 June 1936) Indian Staff Corps was awarded his Victoria Cross for his actions on the 30th September 1900 in Ashanti. Seeing that the enemy were very numerous and were going to make a firm stand he hastily collected all the men he could get and charged at their head into the dense bush. His action carried all along with him, but the enemy determined to have a hand-to-hand fight. One man fired at Captain Melliss, who put his sword through him and they rolled over together. Another shot him in the foot, the wound paralysing the limb. He behaved with great gallantry on three previous occasions. Melliss was born in Mhow, British India, on 12 September 1862, the son of Lieutenant General George Julius Mellis of the Indian Staff Corps. He was educated at Wellington College, Berkshire and the Royal Military College, Sandhurst, being commissioned into the East Yorkshire Regiment in September 1882. He transferred to the Indian Army in 1884. He served in East Africa 1895–96 and on the North-West Frontier of India 1897–98. This was followed by operations in the Kurram Valley in Tirah 1897–98. He served with the North Nigeria Regiment in West Africa 1898–1902, and in Ashanti during 1900, including at the relief of Kumassi. Mellis married in 1901 Kathleen, youngest daughter of General J. M. Walker, and was promoted major 10 July. For the same action that won him the Victoria Cross, he was also awarded the brevet rank of lieutenant colonel on the following day. Mellis served in East Africa 1902–04, where he was badly mauled by a lion in 1903. He commanded the 53rd Sikhs (Frontier Force) 1906–10 and served on the North West Frontier operations (Zakka Khel) of 1908. He was promoted major general on 19 March 1912. During the First World War he was attached to the 6th (Poona) Division of the British Indian Army as it moved into what was then the Ottoman province of Basra in 1914. In April 1915, he was instrumental in the British victory at Shaiba. Melliss also fought in the Battle of Ctesiphon, the furthest up the Tigris that the 6th Division would advance. After Ctesiphon, General Townshend, commander of the 6th Division, ordered a retreat back down the Tigris. Ottoman forces pursued the division to Kut-al-Amara, where, on 7 December 1915, Townshend ordered it to dig in and await relief. Melliss fell ill during the siege; he was in hospital when Townsend surrendered on 29 April 1916. Transported upriver to Baghdad by steamship, Melliss remained in hospital and unable to travel as the survivors of the 6th Division were marched north toward Anatolia. When Melliss was well enough to travel, he followed the same route north. As he was a general, Melliss was allowed a travelling party and better than average supplies. 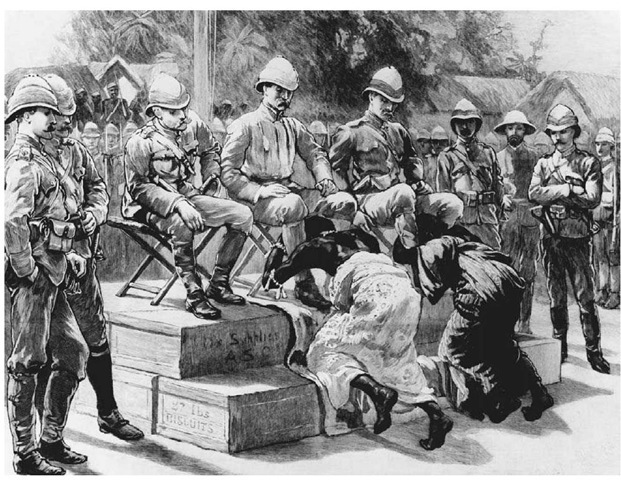 Along the way, they encountered dead and dying enlisted men who had fallen behind one of the columns of British and Indian prisoners. Melliss took any survivors he found with him; at each stop he insisted that the men he had rescued from the desert be put into hospital. Melliss spent his captivity at Broussa in northwestern Anatolia. While there, he repeatedly wrote letters to Enver Pasha detailing the sad state of the enlisted prisoners and demanding better treatment. Most of the British other ranks (1,755 out of 2,592) captured at Kut-al-Amara died in captivity. He retired from the Indian Army 24 February 1920. He was appointed Colonel of his old regiment, the 53rd Sikhs, Frontier Force on 31 May 1921, a position he held until November 1934. He died on the 6th June 1936. The Sphere 13th April 1901. 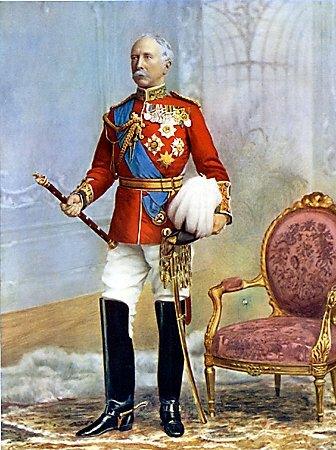 On this day in 1913…The death of Field Marshal Garnet Joseph Wolseley, 1st Viscount Wolseley, KP, GCB, OM, GCMG, VD, PC. Garnet Wolseley was one of the heroes of the British Army during the late 19th century. A career soldier, he saw action in some of the important campaigns of the 19th Century. 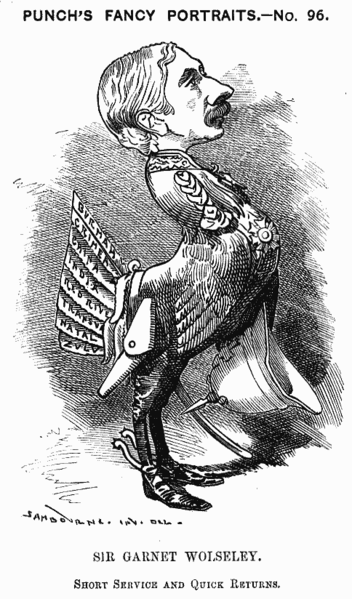 From an Ensign in the Crimea (1853-56) he rose through the army until he was appointed Commander in chief in 1895. He was considered such a safe pair of hands that the saying “everything’s all Sir Garnet” came to mean all is in order. In the Crimea he fought in the trenches at the Siege of Sevastopol being wounded twice. 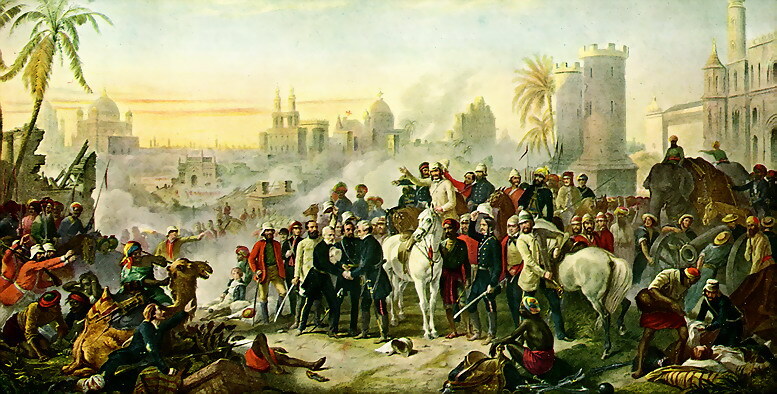 He then fought in the Mutiny (1857-58) seeing action at the Relief and capture of Lucknow and then the actions of Bari, Sarsi, Nawabganj, the capture of Faizabad, the passage of the Gumti and the action of Sultanpur. In the autumn and winter of 1858 he took part in the Baiswara, trans-Gogra and trans-Rapti campaigns ending with the complete suppression of the rebellion. In 1861 he was sent to Canada and while there went to investigate the American Civil War. He was smuggled across the battle lines by Southern sympathisers and once in the South he met Generals Robert E. Lee, James Longstreet, and Stonewall Jackson. Once back in Canada he was active in the defeat of the Fenian raids from the United States and then commanded the expedition that established Canadian rule over the Northwest Territories and Manitoba. The expedition was through some of the roughest terrain that Canada could throw that them but Wolseley’s attention to detail and supply arrangement meant that this was overcome with minimum losses to his forces. On his return to England he was knighted for his services. By now Wolseley was the safe pair of hands that the British government needed to fight the various Imperial fires that needed putting out. He further enhanced this reputation during the expedition to Ashanti (1873). He arrived on the Gold Coast before the troops arrived and made all the arrangements to needed. He knew it was imperative that the campaign to defeat the Ashanti Tribes before the unhealthy season started and caused havoc with his European troops. Due to his advance planning within two months of his European troops landing he had defeated the Ashanti in battle, advanced and captured the capital, accepted the surrender of the Ashanti King and then re-embarked his troops before the unhealthy season had began. This campaign made him a household name in Britain. He received the thanks of both houses of Parliament and a grant of £25,000 was promoted to brevet major-general for distinguished service in the field on 1 April 1874. The freedom of the city of London was conferred upon him with a sword of honour, and he was made honorary DCL of Oxford and LL.D of Cambridge universities. On his return home he was appointed inspector-general of auxiliary forces with effect from 1 April 1874; however, in consequence of the indigenous unrest in Natal, he was sent to that colony as governor and general-commanding on 24 February 1875. He accepted a seat on the council of India in November 1876 and was promoted to the substantive rank of major-general on 1 October 1877. Having been promoted to brevet lieutenant-general on 25 March 1878, he went as high-commissioner to the newly acquired possession of Cyprus on 12 July 1878, and in the following year to South Africa to supersede Lord Chelmsford in command of the forces in the Zulu War, and as governor of Natal and the Transvaal and the High Commissioner of Southern Africa. By the time he arrived in South Africa he found that the war was a good as over but he negotiated the final peace deal. He then served in the Transvaal and was promoted to Brevet General. In 1882 he was promoted to Adjutant-General to the Forces and sent to Egypt to command British forces who where fighting the Urabi Revolt for Muhammad Ali and his successors. with his usual thoroughness, he seized the Suez canal, moved his troops to Ismailia and after a very short campaign utterly defeated Urabi Pasha at the Battle of Tel el-Kebir, thereby suppressing yet another rebellion. He had again proven that he a soldier of the highest order and he was promoted to full General, received the thanks of both houses for a second time and raised in the peerage to Baron Wolseley, of Cairo and of Wolseley in the County of Stafford. In 1884 he was called way from his duties as adjutant-general to help save the Government’s reputation by leading a rescue attempt to save General Gordon at Khartoum. He lead the expedition down the Nile with his usual excellence but due to delays in despatching the force by the time they arrived under the walls of Khartoum it had fallen and General Gordon was dead. Despite not being his fault it was the first failure of his career. The expedition to Khartoum was to be his last active service and for the rest of his career his served at Horse Guards. He was promoted to Field Marshal in 1894 and became Commander in Chief in 1895. He was a favourite of the Royal Family and was appointed to Gold Stick to both Queen Victoria and Edward VII. He also took part in the procession at the funeral of Queen Victoria. Happily married to Louisa he had just one child, Frances. For his service to the country, parliament made a special dispensation to allow Frances to inherit the viscountcy from her father. Wolseley was a true hero of the Empire and fought across the globe for his Queen and country. 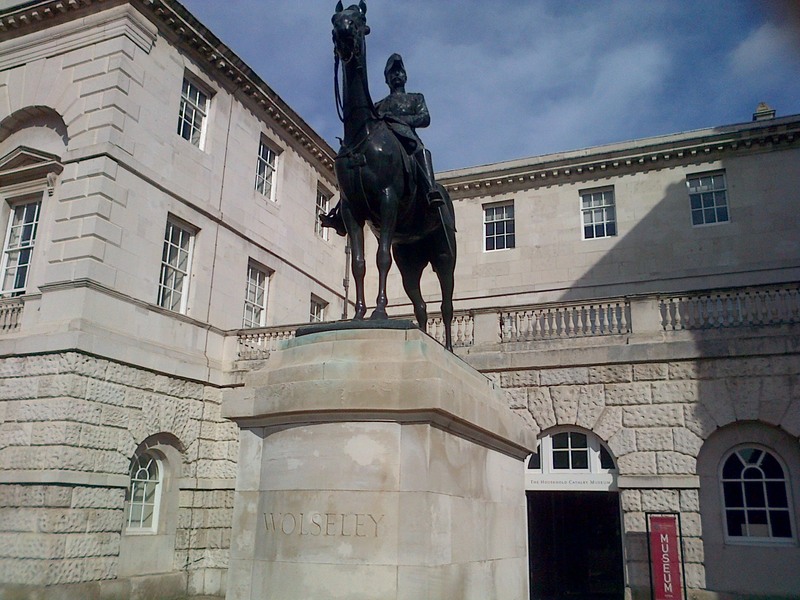 In recognition of this a statue was erected in the Parade ground of Horse Guards. Captain George Chrystie 25th Cavalry. Supporters who love the Imperial War Museum Library and research services are campaigning to secure their future. Please add your voice to help save this unique service. Book reviews, from the desk (couch, bed, bathroom floor) of a recent literature graduate.